Budget-friendly wine doesn't have to sacrifice flavor or local cred-especially in Washington. These high-quality wines are available around Seattle right now. You'd swear this outrageously delicious wine cost more than twice the price, between the powerful aromas (sagebrush, herb, blue fruit, and crushed flowers) and layer upon layer of pure flavors. Barrels of declassified wines from Ben Smith's other labels make up this blend, meaning it sees every bit of the love and care of a considerably more expensive bottle; it's reliably one of the state's top values. Avennia's side project buys high-quality wares from other wineries to blend with its own-the results are superb even before you consider the compelling price point. Though it's labeled simply as a red blend, this wine is almost entirely syrah and brings sweet, saturated black fruit flavors with a rich, hedonistic appeal. The last wine Efeste blends every year (hence the name) is an aromatic wallop of blue and purple fruit, then flavor that's every bit as powerful. Darby assistant winemaker Mari Womack's new release is a standout, thanks to fruit from Stillwater Creek vineyard and a bright, fresh palate. Chateau Ste. Michelle's partnership with Rhone stars Michel Gassier and Philippe Cambie delivers a charm offensive in the form of mountain blueberry, herb, and smoked meat notes. 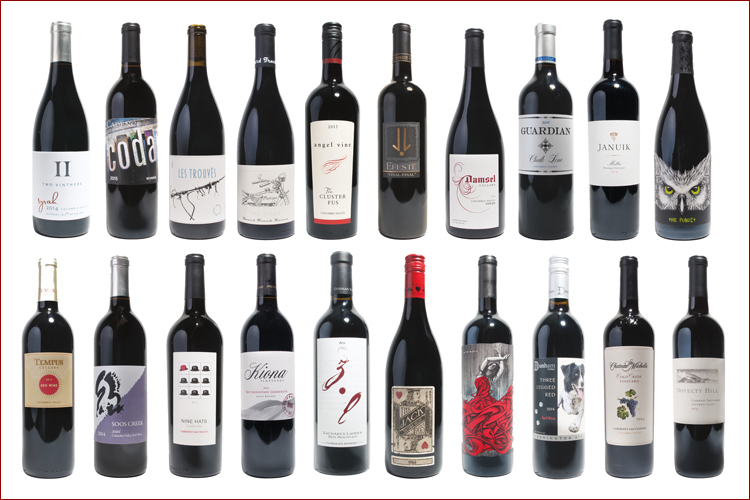 To see a complete listing of all 20 wines click on the link below.